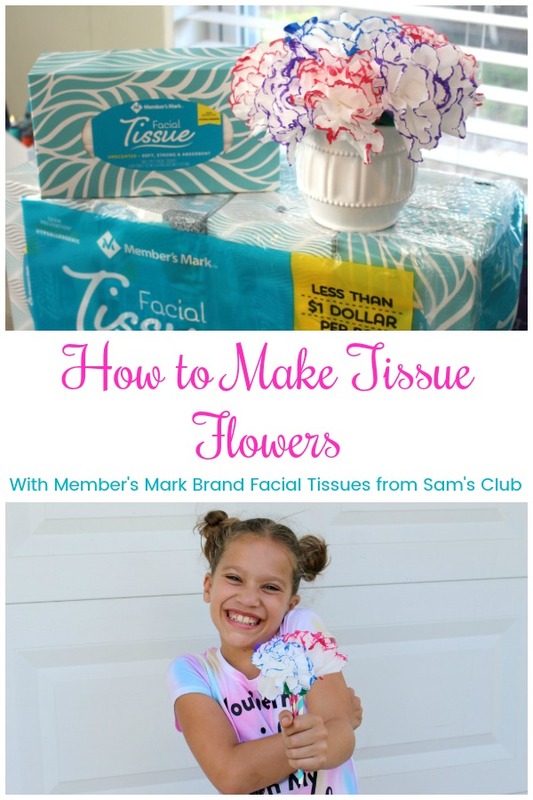 I partnered with Sam’s Club on this post to show you how I prep for summer break and one of our fun and easy crafts; Tissue Flowers from Member’s Mark Brand Facial Tissues. 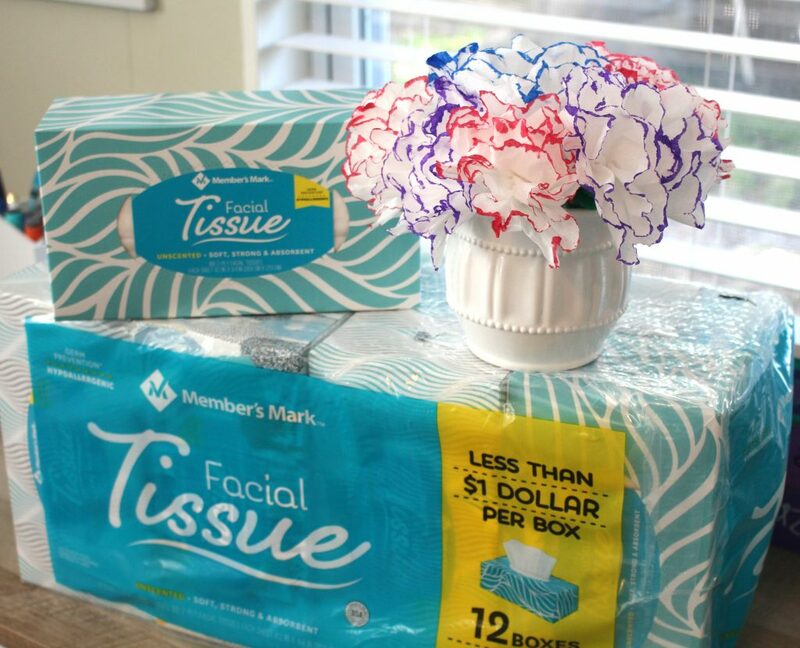 Create Facial Tissue Flowers with Member’s Mark Brand 2-ply Facial Tissues! My children’s school breaks for summer in just a couple weeks, and in my house, that means 3 kids who are always looking for something to do. Especially before the late summer sports season. So, I am spending these next couple of weeks prepping and planning for some fun family time. My first stop when I’m prepping for our 2-month school break is a trip to Sam’s Club to do a major restocking. I have a family of 5, so when everyone is home during the day we go through everything a lot faster. I get snacks, juices, restock our freezer and make sure we have all the paper products we need like paper towels and facial tissues. Sam’s Club exclusively offers Member’s Mark Brand 2-ply Facial Tissues which are hypoallergenic, and free from ink, perfume, lotion, and fragrance, plus they have the softness my family needs and the quality I love. I have already stocked up with the Member’s Mark Brand 2-ply Facial Tissues 12 box package, which provides 1,920 tissues total! 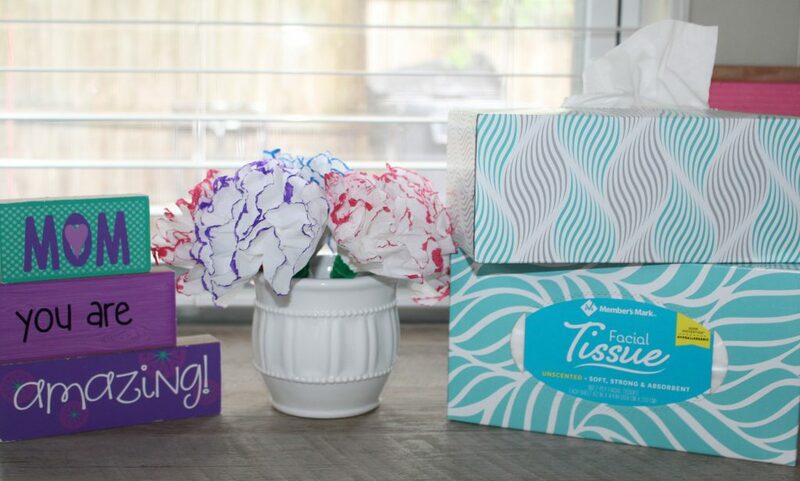 My family uses tissues constantly, not just for our noses, but for cleaning faces and of course crafting, so this package is perfect for us and best of all I get the amazing quality tissue I want at an exceptional value. The 12 box package is only $11.98, that’s less than $1 a box! After stocking up on all my family’s essentials at Sam’s Club, I like to plan out some family fun for the summer. From beach days, day trips, to fun and easy crafts and activities we can do at home. 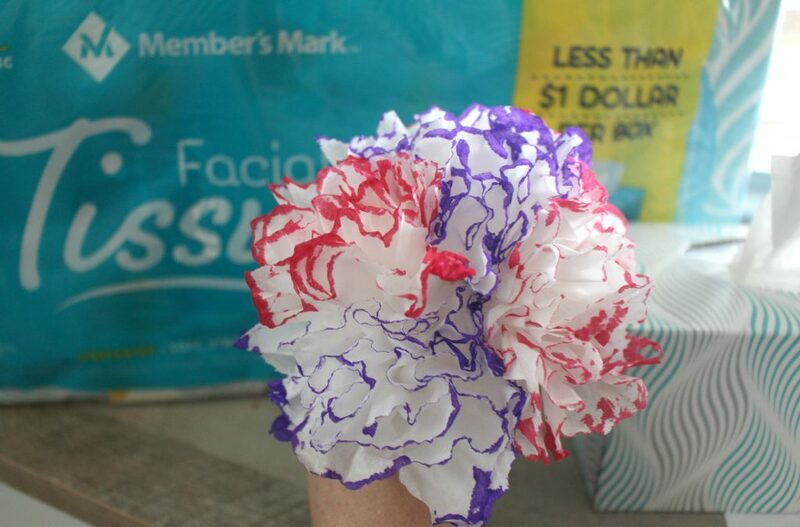 As the flowers start to bloom outside, one of our favorite crafts is making flowers out of facial tissues and Member’s Mark Brand 2-ply Facial Tissues are perfect for this. 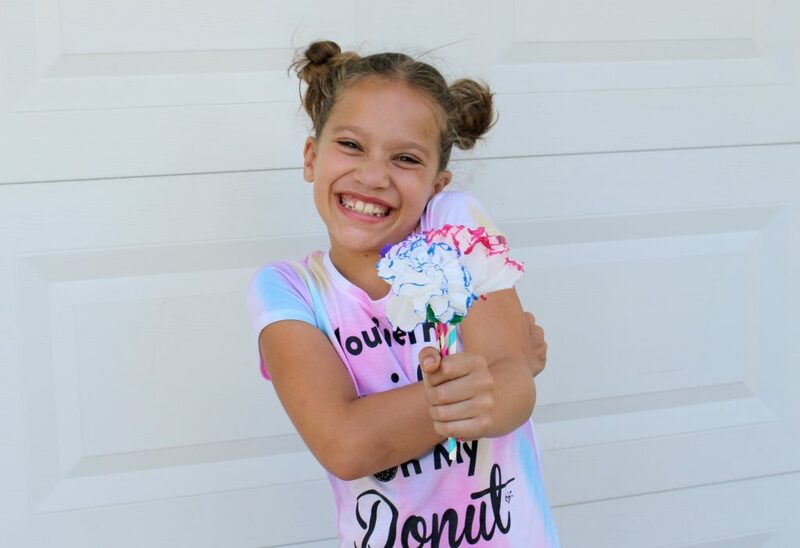 Member’s Mark Brand 2-ply Facial Tissue flowers are simple to make and are a great craft for the kids to make as a gift for Mother’s Day and Birthdays. First Take 2 Member’s Mark Brand 2-ply Facial Tissues and lay them out smooth and flat on top of each other, next fold the pile accordion style. Once your tissues are folded together, fold the strip in half and cut the unfolded end into a half circle to give the tissue a flower shape. 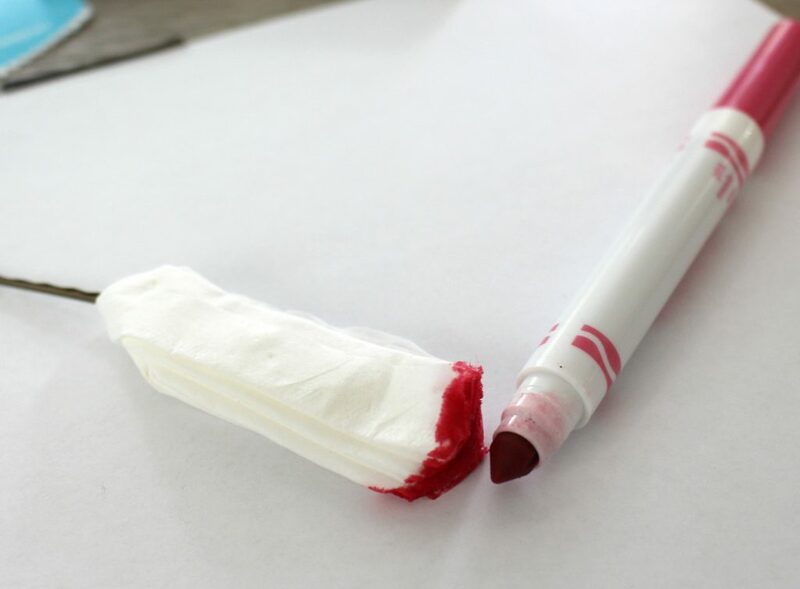 After you cut the ends, you can use the markers to add color to the flowers edge. If we are doing a simple craft the kids just add rub the marker along the edges at this point. However, we have also skipped this step and sprayed them with glitter and used puffy paint once they are unfolded. You can really let the kids get creative with the decorating part. Once I colored the edges, I squeeze the tissues together at the centerfold. Making sure to center it right or else the flower comes out lopsided. I put the center through a bobby pin, which holds the Member’s Mark Brand 2-ply Facial Tissue Flower in place so that you can gently separate the petals. After the petals are separated and fluffed, next I wrap the green pipe cleaner around the base of the flower and down the bobby pin. The flower heads look adorable left just like this, and we have used them to fill bowls and decorate tables, however, if you want to add them to a vase or make them into a cute bouquet for a gift just grab some pretty paper straws and stick the stem into the straw with a dab of glue and you have a flower stem! 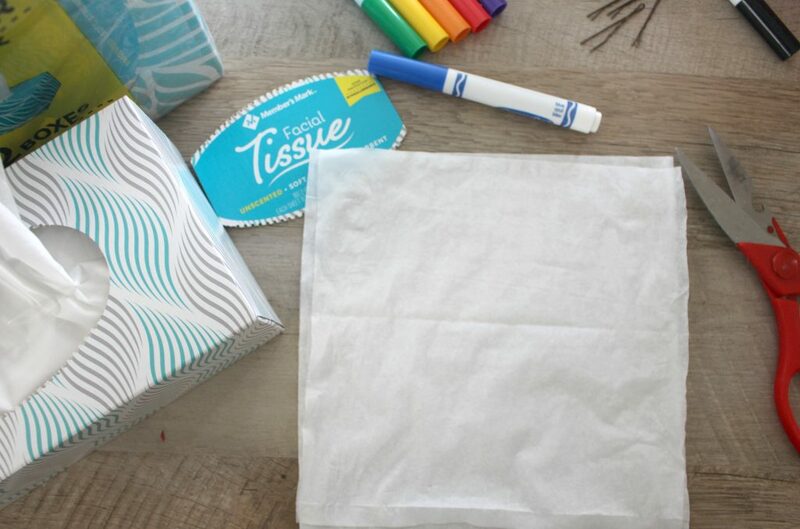 This is one of the crafts that we use Member’s Mark Brand 2-ply Facial Tissues but there are lots of fun crafts that you can create out facial tissues. What do you use facial tissues for, besides your nose? Those are super cute! I love how you used the marker to edge the “flowers” like that. They look so real. Oh my goodness! You nailed this! I love this crafty project and so affordable and easy to do! I am going to give it a try. I need to pick up some more Member’s Mark anyway. Those are so pretty! At a glance, they look like the white carnations you can buy. this would be a cute project for the kids. 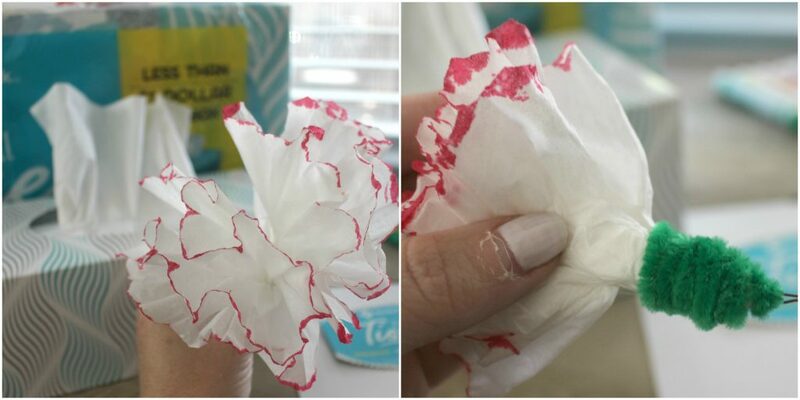 Those are really easy steps to make a beautiful tissue flower like this. I will definitely try to make this together with my kids, such a cool craft. That is such a cute idea. I love it and now I need to make some of my own. So pretty! Oh this is so fun, I remember going this as a kid too. My daughter would love this craft! This is a cool and awesome idea! SO simple but so beautiful! These flowers are so innovative. Love the creativity. The flowers look so beautiful, can hardly imagine that they are made of tissues. Such a fun spring DIY idea! I think these would be cute for a baby shower! These are really cute. It is definitely something i can make with my kids. I am sure they would love to have the skill to make gifts like this. This is such a cute idea! I’m a Sam’s Club member as well and love using their brands. That’s a beautiful DIY! Love it! Spring DIYs are fun and full of colors. That is such a pretty made bouquet! This is a fun project to get the kids going! These are so pretty! At first glance, they do look like colorfully tipped carnations too! Wow! I made these as a kid but mine never came out this pretty! I’m definitely going to do this with my grandkids. How pretty and so creative. So easy to make too. I will share this with my niece. She’s so into things like this. What a cute little craft to make! Seems pretty easy too.